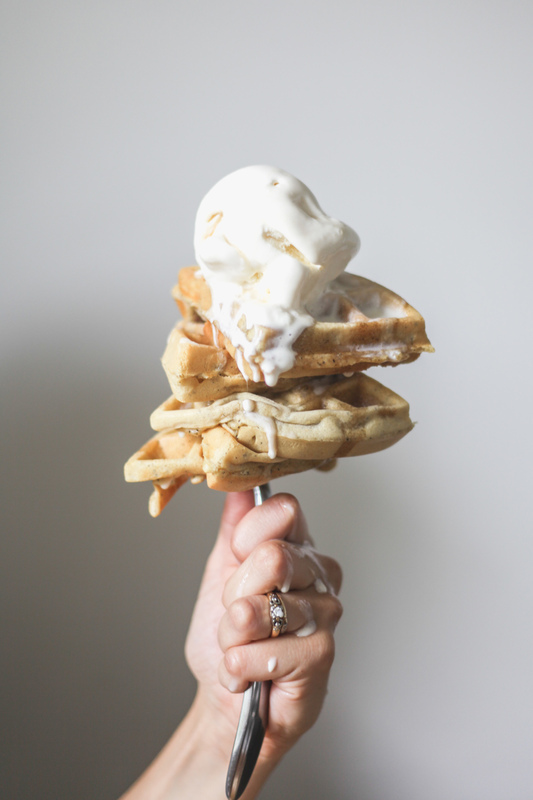 Waffles and ice cream is the perfect Saturday morning breakfast. It is SO delicious! Any way to have ice cream for breakfast is the right way. This recipe was inspired by our friends at 33 Acres. The have waffle weekend every Saturday & Sunday, and are always trying really unique and yummy waffle combinations! This is one of our favourites that we've had there before. So we thought we would try and recreate them at home, because sometimes, you just can't wait for the weekend to have earl grey waffles with tahitian vanilla ice cream! We used this recipe from the Food Network > click here. We doubled it and added 2 teaspoons of earl grey tea. Top it with your favourite vanilla ice cream, we used Earnest, and a little bit of maple syrup!